There comes a time when every business owner starts to think about getting a company credit card. You may be rapidly expanding or gaining more team members. Or perhaps you’re just tired of using your personal credit card, and mixing up your own expenses with your business’. So if you’re a young business thinking of getting a company credit card, here’s some food for thought. Going the company credit card route may not be the best (or only) option for you. These are some unexpected complications entrepreneurs should know about before diving in. Especially if you’ve distributed cards to various members of your team, you may not always have as tight a grasp on budget and everyone’s total spending. Let’s say you’ve just made a large purchase on some new office furniture – but in the same week, you find that your sales executive just had a dinner meeting with a new potential client, and your colleague took out a local investor for drinks the evening before. With many moving parts, it can be difficult to keep track of everyone’s spending and get an accurate look at your finances. The balance in your bank account may not always up-to-date if you still have credit payments that you need to settle. At the end of the day, dipping into credit means there’s a greater chance of spending further than your means. If you’ve ever applied for a business bank account in Hong Kong, you’re already familiar with the frustratingly long processes when it comes to applying for their services. As an example, the American Express Corporate Card is only available to businesses which have been in operation for 2 years, and have a minimum annual revenue of HK$8,000,000. These requirements, while may not pose barriers to large established businesses, sometimes put company credit cards out of reach for younger companies. When you’re running a lean team, people wear a dozen different hats and do a bunch of different jobs. You may not have one person dedicated to looking after your finances. Yet, at the end of the month, someone on your team now has to turn into the accountant. This person has to make sure all the expense reports are filed correctly, that they have all the necessary receipts, and that everything adds up. Consolidating all this information (and chasing people’s lost receipts) can be a hassle that, as a small team, takes more time than you want to spare. So with all that in mind, what’s an entrepreneur to do? There are alternatives to company credit cards that may make more sense for your business – such as using corporate expense cards. Young companies and entrepreneurs need options that give them the control they need without the hassle. The Neat cards are prepaid Mastercards – but they’re more than just your average prepaid card. Built for entrepreneurs, SMEs, and fast-growing business, they are integrated with the latest technology that’ll allow you to stay on top of all your card spending. On the Neat Business dashboard, you have an overview of all your existing funds and transactions. This is where you can add money to your Neat cards. That means that every time you top up your cards, you know exactly what your current total balance is and exactly how much you’re allotting to each of your Neat cards. You are in control of how much can be spent, and can therefore more accurately keep your budget up to date. What’s more, any funds you put onto your cards are funds that are already yours – so there is no chance of collecting debt or overspending on money you don’t have. Every transaction from your Neat card(s) can be tracked in two places: on your mobile app and on your Business dashboard. Every card can be connected to the Neat app, which will show you at a glance all the transactions for that card and also gives you real-time notifications on your mobile whenever there’s a transaction. On the Business Dashboard, you can see the transactions across all your cards in one place. This makes it easy to stay on top of the spending throughout all your channels. What’s more, in the event that you lose your card or believe it’s been in some way compromised, you can also choose to freeze the card straight from the app with just a tap. Keeping all your receipts for the month on hand can be a huge hassle. Not to mention that sometimes you just forget (or lose them!). With Neat, you can simply take a picture of your receipts and upload them to the app. That way, you don’t have a pile of receipts to consolidate and input at the end of the day. Neat also integrates with your accounting software, to feed your transactions directly into your books. This gives you an accurate and up-to-date look at your finances automatically, making it easier to forecast your cash flow. Neat Business is the solution for entrepreneurs who don’t have time to deal with all the things that come along with a company credit card. 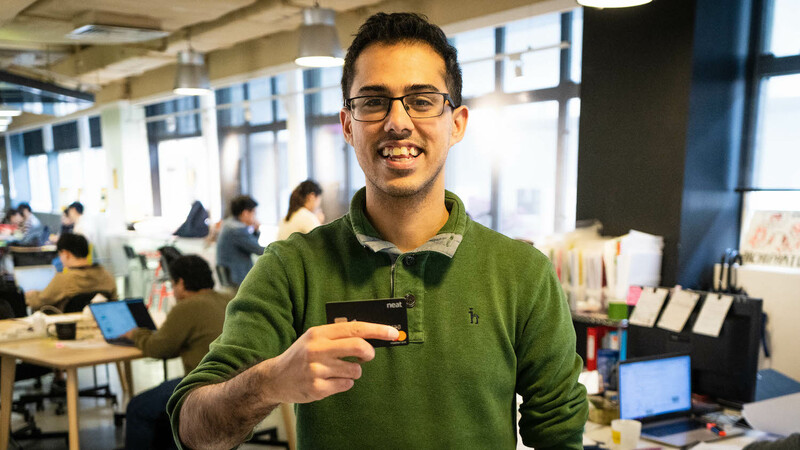 The team at Planto, a burgeoning FinTech company in Hong Kong, have used Neat Business cards from the very beginning and haven’t felt the need to get a credit card from a bank. Try it out for yourself! Sign up for Neat Business today.